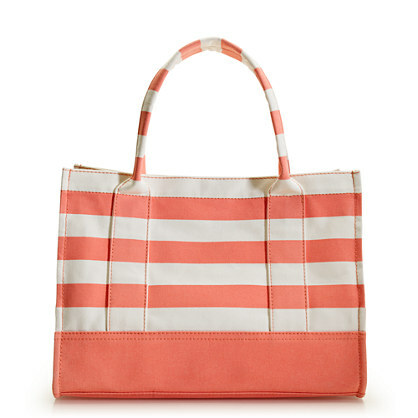 I love cute beach bags, but they're always so expensive! Unless you hit the pool ona weekly basis, it's kinda silly to dropp so much money on something you use only a few times a year! This one is affordable and tres chic - buy at J. Crew for the sale price of $50 in pink, navy or mint stripes.